that's smaller than a football. 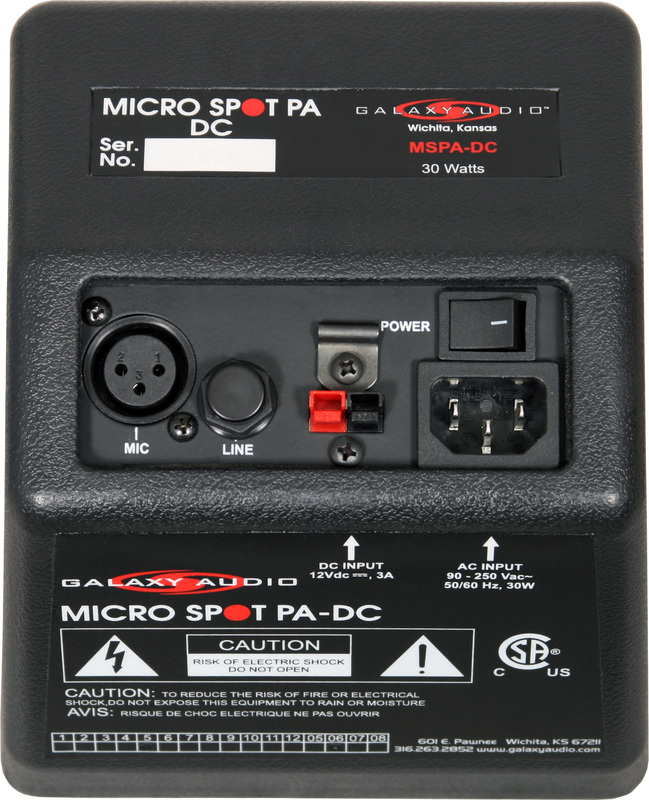 Designed to be used anywhere sound reinforcement is needed, the Powered Micro Spot's universal power supply will accept AC sources ranging from 90 volts to 250 volts, 50 or 60 Hz. 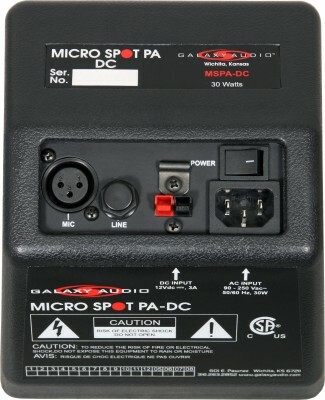 Where AC is not available, the Powered Micro Spot-DC can be powered by 12volts DC through it's DC input port. 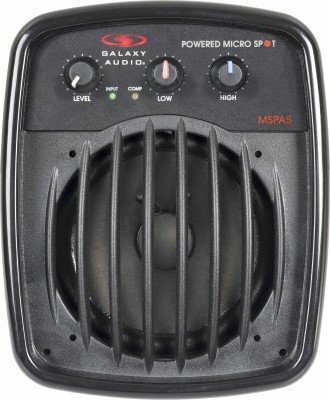 Weighing only 4.82 pounds, the Powered Micro Spot delivers a clean 30 watts of power to its internal 4.5" speaker and can reach SPL levels of 99 dB. 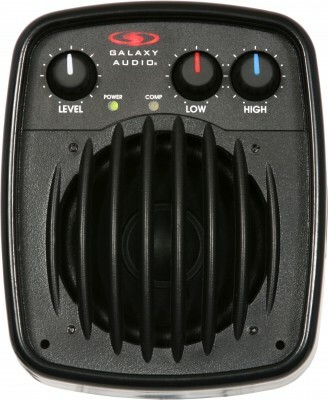 XLR and 1/4" inputs respectively accept microphone and line level signals. 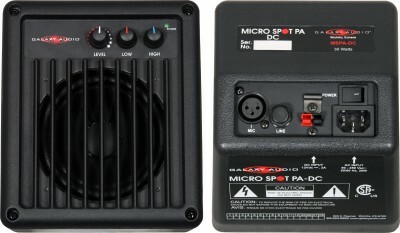 The Powered Micro Spot also features a 2-band equalizer and built-in compressor/limiter circuitry that controls the amplifier's gain, acting like a compressor on transient signals and a “brick wall” limiter on signals that continuously exceed a predetermined limit. 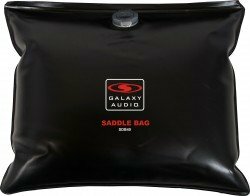 This results in an apparent 6 dB increase in SPL without distortion. 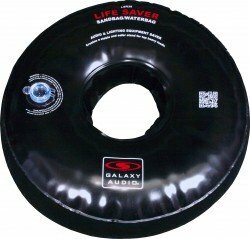 That's twice the sound pressure! 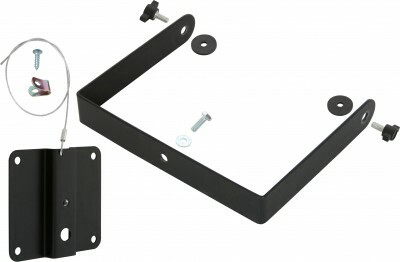 The Powered Micro Spot works great in many applications. The powered Micro Spot is diverse enough for live sound, church, fixed installation, etc. It's compact and lightweight enough to take anywhere.